To create and integrate new artwork emphasizing Old Testament teachings into the Byzantine style of the church. 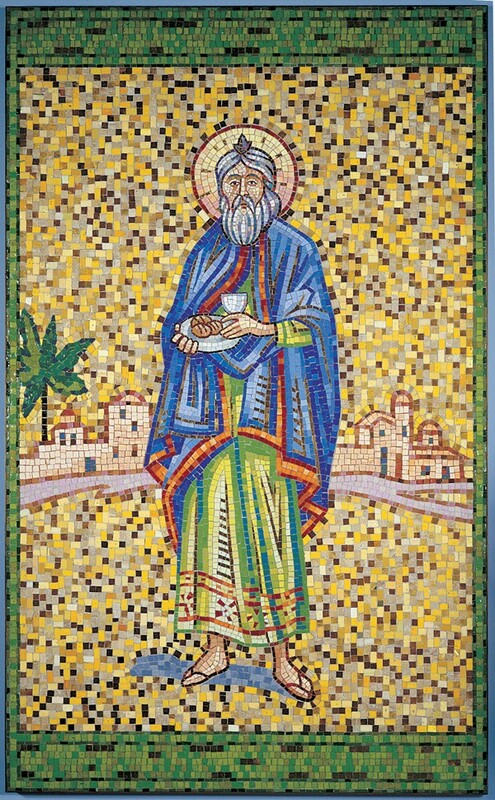 The inherent beauty of mosaic and its intrinsic relationship with Byzantine churches made it the ideal medium for enhancing St. Mary’s Church, Whiting, Indiana. 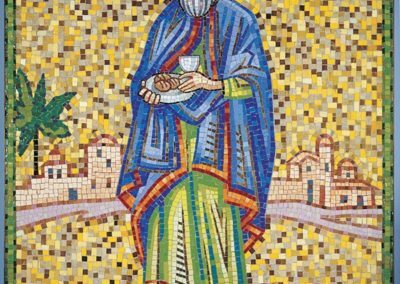 Mosaic was believed in the middle ages to be suitable for representing the unearthly splendor of the divine, because its substance had undergone purification by fire in the kiln. 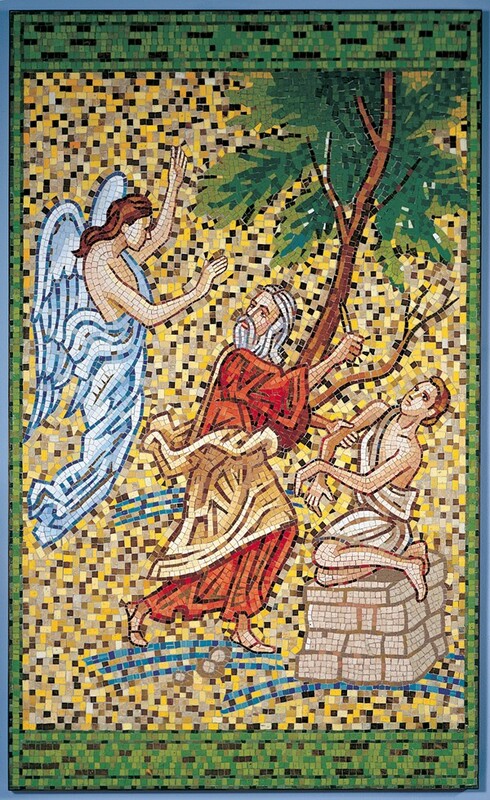 The three mosaics are fixed to the wall and measure 2.5′ x 5′ each. 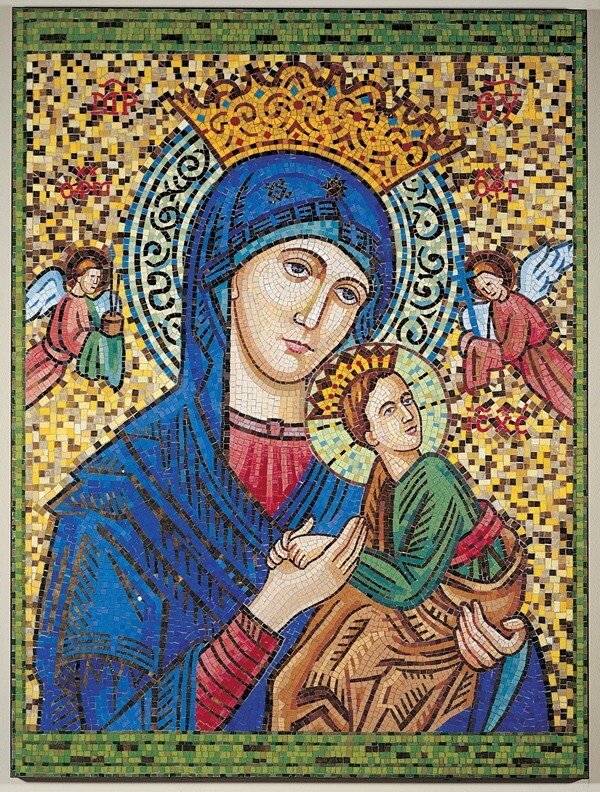 The Marian Shrine is the namesake of the church and an icon of Our Lady of Perpetual Help. 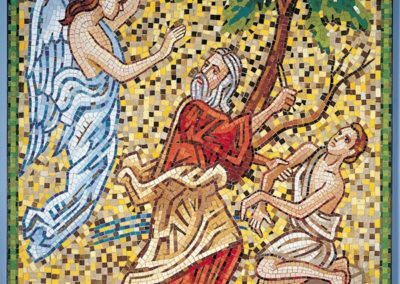 The other mosaics are from the Old Testament: Melchisedek is the symbol for an ideal priest and king; and Abraham and Isaac reflect the people’s commitment to God. The mosaics are beautiful additions to the church’s décor. Photo courtesy of Photo Concepts Inc.